We have announced the exciting itinerary for a truly once-in-a-lifetime trip to Scotland this October from the 2nd to 10th. As always, the trip will be full of luxurious accommodation, outstanding cuisine, incredible adventures, and unique spiritual experiences. Called Mists, Mystics and the Whisky Trail, we’ll travel from Glasgow to Edinburgh with stops at a variety of magical places in between. Our Scottish adventure starts the moment we touch down in Glasgow. We’ll get a first-hand look at the rugged beauty of the Scottish Highlands on the way to Loch Lomond, Great Britain’s biggest lake, which is situated by the majestic Ben Lomond, one of Scotland’s most famous Munros, or mountains. The next day will be spent indulging in your choice of classic Scottish pursuits – from clay shooting and archery to sheep dog herding – or jumping on a gondola to check out the view from atop Ben Nevis. You can also opt for a nature walk by the Highland Glen and Loch Leven, or a bike ride along the Caledonian Canal. 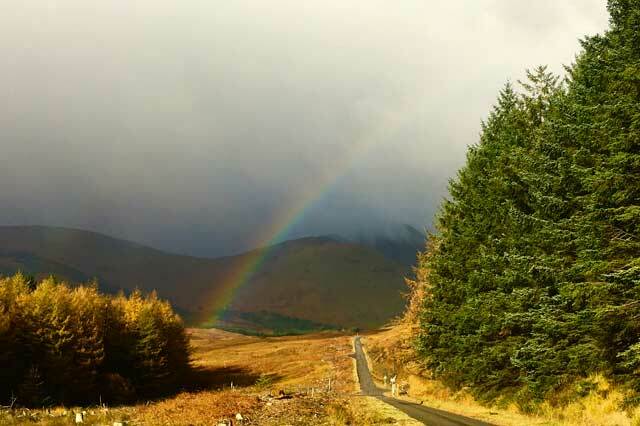 You’ll discover why Fort William is known as the outdoor capital of the UK, as there is no shortage of waterfalls, trails and forests to explore. 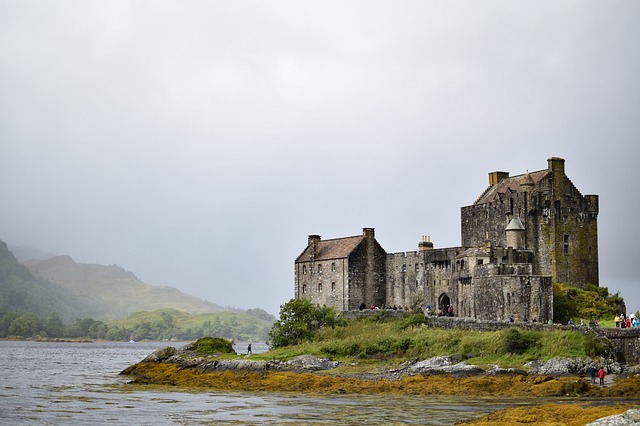 The next morning we’ll venture further into the Highlands and on to the Inner Hebrides towards the Isle of Skye – a journey that will take us into the mystical side of Scotland. 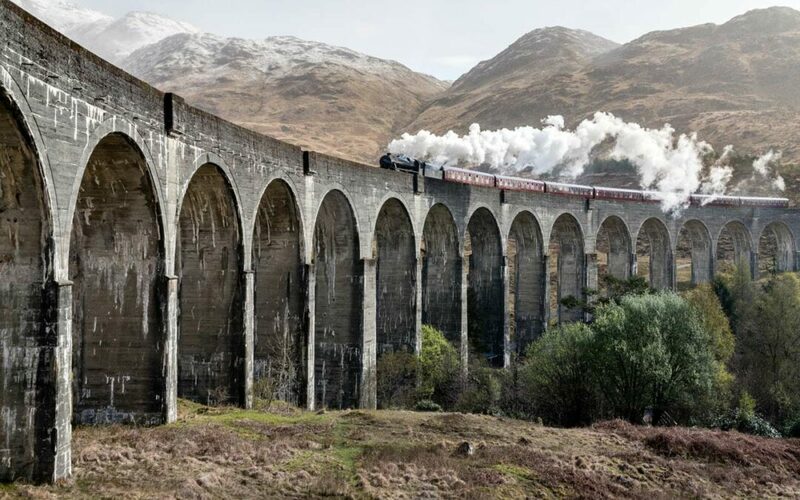 We’ll travel first class in the iconic Jacobite Steam Train, enjoying tea and scones as we pass by such famous sites as the Glenfinnan Viaduct, – nicknamed the “Harry Potter Bridge” after the Hogwarts Express travelled over it in several movies – on your way to Mallaig to board the ferry to Skye. 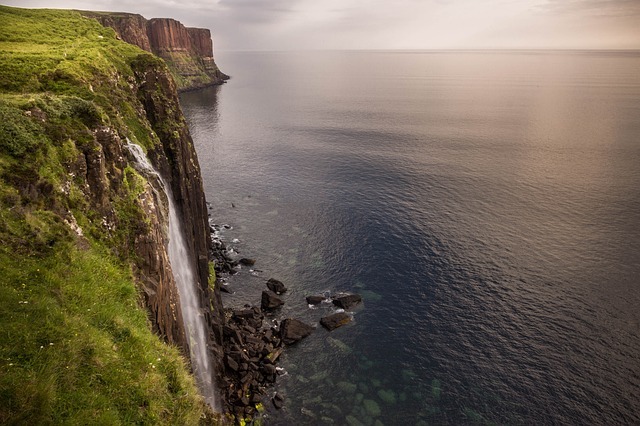 Situated off the west coast of Scotland, Skye is known as The Misty Isle, home to dinosaur fossils, abundant wildlife, and Clan castles, as well as “thin places” – where it is said the earthly veil is pulled back to reveal where heaven meets our world. While on Skye we’ll stay at the delightfully shabby chic Skeabost Isle of Skye Hotel, which was originally built in 1871 as a fishing lodge. The wonderfully named River Snizort runs through the grounds of this charming 18-bedroom hotel, and you can find two small chapels associated with St Columba, the first Christian missionary to Scotland, on an island in the river. The first night we’ll gather in the hotel’s own chapel, which is now a private dining room, for a fireside dinner complete with music by the local talent. 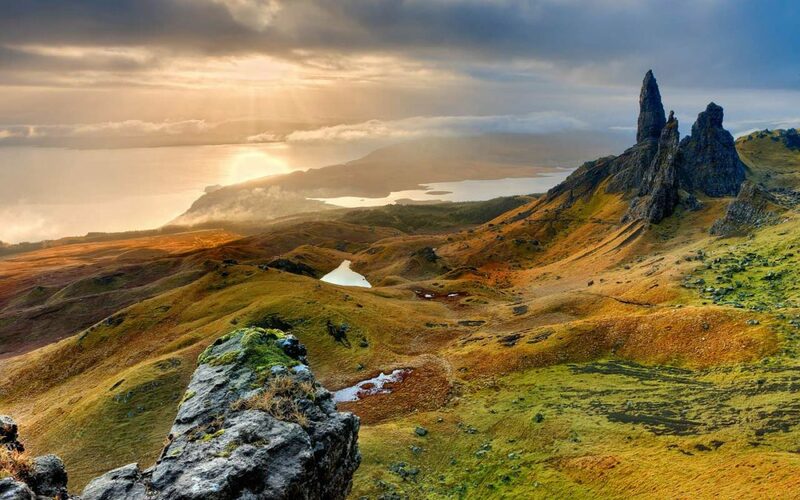 The next day Skye is yours to explore. You can hike down to the fairy pools, filled with water in an other-worldly shade of blue-green that is believed to have healing powers, or visit the many local artists and artisans who live and work on the island. No matter what adventure you decide to embark on, we’ll end up at the Talisker Distillery, Skye’s oldest working distillery, for a private whisky tasting of its alluring, full-bodied single malt. Then it’s off to the award-winning Three Chimney’s Restaurant for lunch. 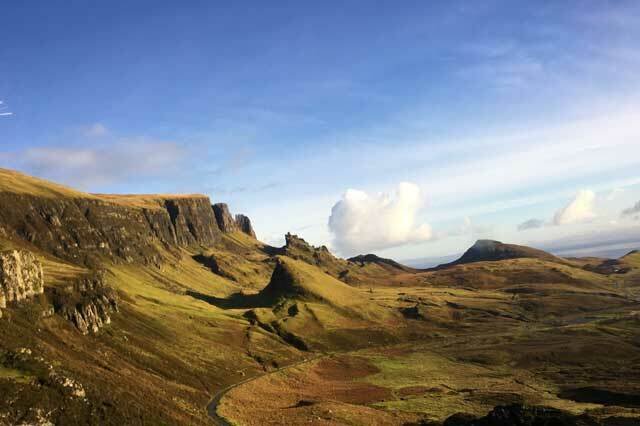 In true Divine Destination Collection fashion – there might be a surprise or two waiting for you during your stay on Skye. The following day we’ll travel back to the mainland for our next stop on the itinerary, the famous five-star Gleneagles Hotel (a member of the Leading Hotels of the World), a magnificent countryside estate in the heart of Scotland that was described as a “Riviera in the Highlands” when it opened its doors in 1924. It also has the only restaurant in Scotland to hold two Michelin stars. But before we get to Gleneagles there is a real treat in store for Outlander fans. We’ll stop at the Culloden Battlefield, the site of the 1746 battle of Culloden that brought an end to Bonnie Prince Charlie’s Jacobite rebellion and was featured prominently in Outlander. We’ll then move on to the mystical site of Clava Cairns, a prehistoric cemetery full of passage graves and cairns – mounds of rough stones built as memorials and landmarks. These hallowed grounds were the inspiration for Craigh na Dun, the ancient stone circle where Claire travels from 1945 to 1743. Once at Gleneagles we’ll get the chance to try your hand at falconry, or play a round on one of the hotel’s championship golf courses – one of which, the PGA Centenary Course, hosted the 2014 Ryder Cup. In the evening you’ll go back in time to the roaring 20s as we transform the hotel’s American Bar into an exciting underground speakeasy…you’ll need a special knock to enter and enjoy the thrill of partying during prohibition. 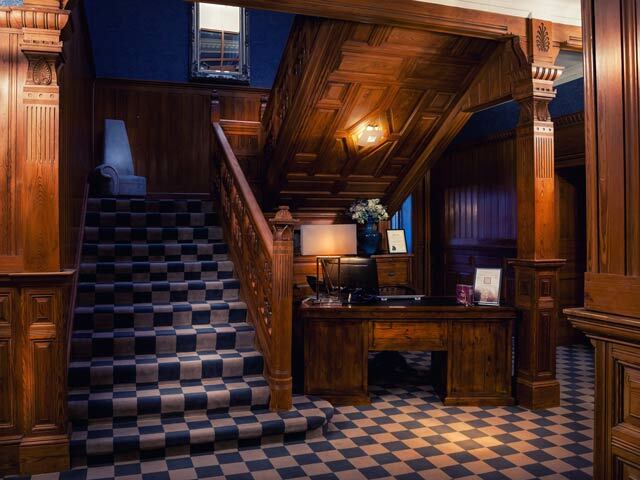 The last two nights are spent in Edinburgh, at the city’s most prestigious address – No. 1 Princes Street. 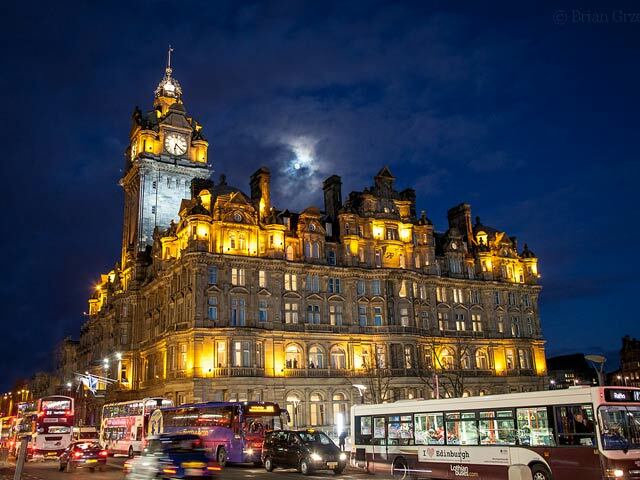 This is the incomparable Balmoral – A Roco Forte Hotel, known as the grand dame of Edinburgh. Only in Edinburgh can you feel part of history as you walk along the cobbled alleyways of the Old Town with Edinburgh Castle looming overhead, then venture into the Georgian splendour of the New Town for a shopping trip full of all the most luxurious and posh brands. 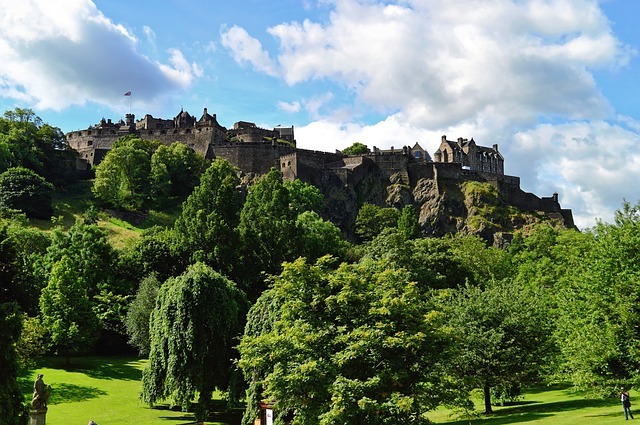 To get a real sense of what it is like to live in this enchanting city, we’ll get the unique opportunity to dine with a local family and experience some delicious home-cooked Scottish cuisine, a dram of two of the finest local whisky, and some great conversation. A special treat awaits on the last day in Edinburgh – a private visit to the stunningly beautiful Rosslyn Chapel, the setting for the final scene in Dan Brown’s The DaVinci Code. Then it’s on to experience Edinburgh Castle and raise a pint or two at a local pub before an exclusive farewell evening aboard the Royal Yacht Britannia. You’ll feel like you are in an episode of The Crown as you sip champagne in the State Drawing Room before strolling through the ship – it’s all ours this evening – to see where Charles and Diana honeymooned, and then enjoying an elegant dinner fit for a king or queen, complete with Scottish dancers. You are truly in the Footsteps of the Royals! ARE YOU READY TO GIVE INTO THE CALL OF BAGPIPES, ROYAL HISTORY, AND SOME OF THE MOST HAUNTING LANDSCAPES ON EARTH? Take a look at the full Scottish itinerary and click on the Book Now button to register! 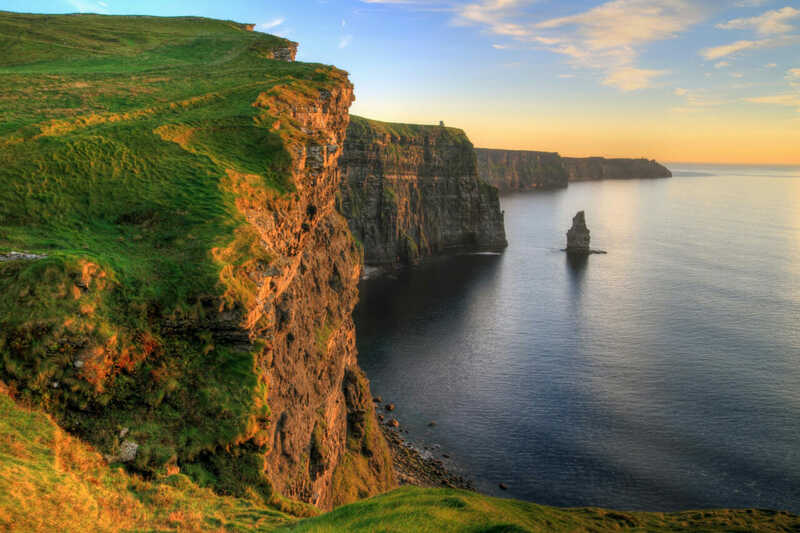 WE’RE ALL IRISH ON ST. PATRICK’S DAY – WHY NOT VISIT IRELAND AND SEE WHAT YOU’RE MISSING! We all like to say we’re Irish on St. Patrick’s Day – so instead of raising a pint of green beer and toasting the emerald isle – why not plan a visit? It must be the luck o’ the Irish, because the Divine Destination Collection has a luxuriously curated trip to Ireland just waiting for you. With a minimum of 15 friends and family you can book a five-day private group trip that mixes music, food and history with some incredible one-of-a-kind adventures. It all starts off with two days in Dublin, the home of James Joyce, Oscar Wilde and the band members of U2. You and your group will stay at the elegant and historic Shelbourne Dublin Hotel, where the Irish Constitution was drafted in 1922 by Michael Collins and his colleagues. Overlooking beautiful St. Stephens Green, Ireland’s best known Victorian public park, the Shelbourne is close to the great shopping of Grafton Street, as well as the vibrant nightlife found along the banks of the River Liffey, which flows through the city. There is also a genealogist on call at the Shelbourne to help you find out if you have Irish blood! How can you visit Dublin without dropping into a pub or two for a pint of Guinness? 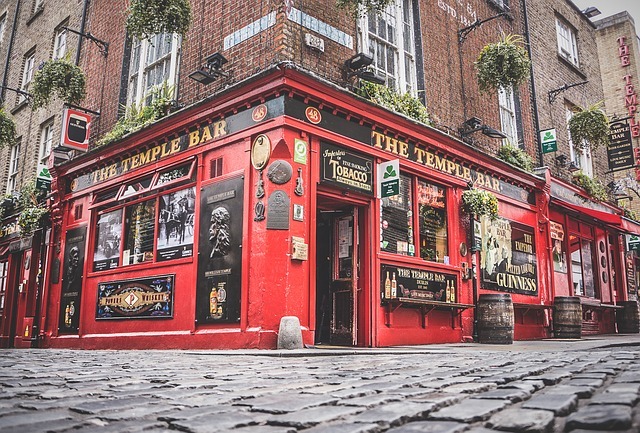 To make sure you get an authentic pub experience you’ll join in on a pub crawl where musicians playing traditional Irish instruments such as the bodhrán accompany you while you venture from pub to pub. 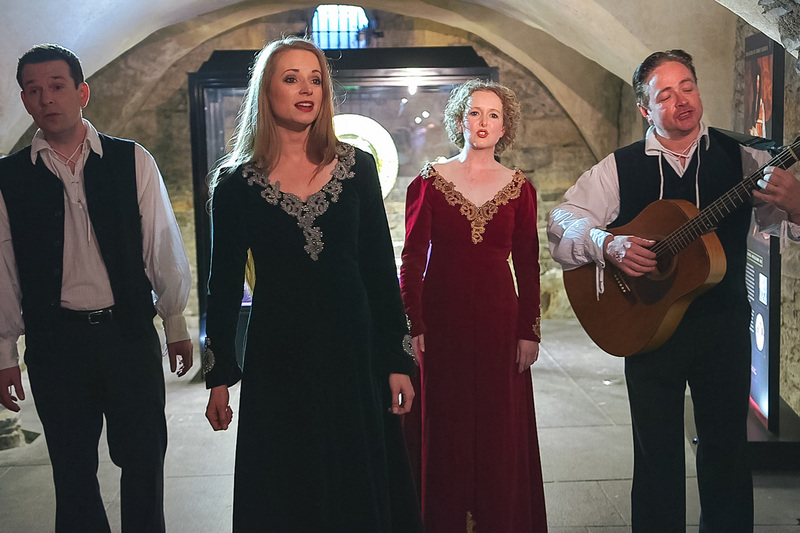 The next night your group will descend into the 12th Century Crypt of Christ Church Cathedral for a private cocktail reception, complete with a haunting performance of medieval music and a chance to ring the church bells. 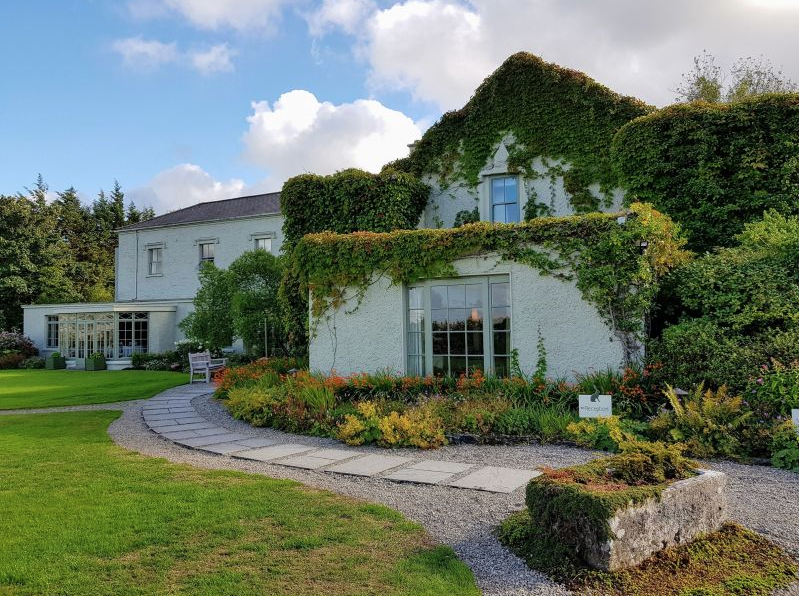 After Dublin you’re off to spend two nights in Ballyvaughan, County Clare, where you can expect some delightful surprises awaiting you as you check in to the Gregans Castle Hotel, a stunning 18th century manor house. During your visit you’ll also enjoy a truly unique way to experience the kindness, hospitality and good humour of the Irish by dining with a local family for a wonderful, home-cooked meal and some good “craic” – the term the Irish use to describe fun conversation and storytelling. 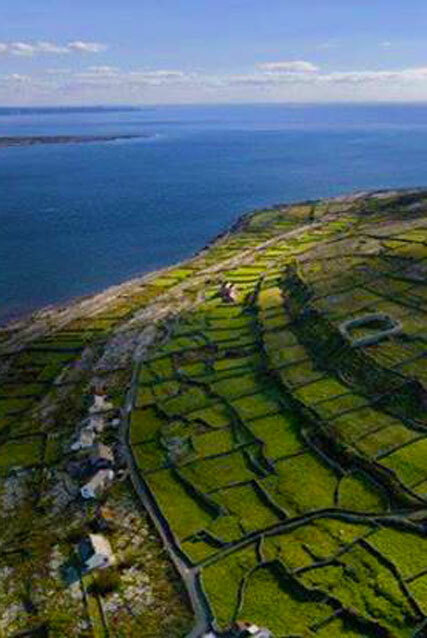 Another great adventure awaits with a ferry ride to Inis Mor (Inishmore), the largest of the Aran Islands and full of windswept beauty and Christian, pre-Christian and Celtic monuments and artifacts. To make sure you get the most out of this experience your group will be accompanied by a knowledgeable guide who can point out the historical as well as the mystical. 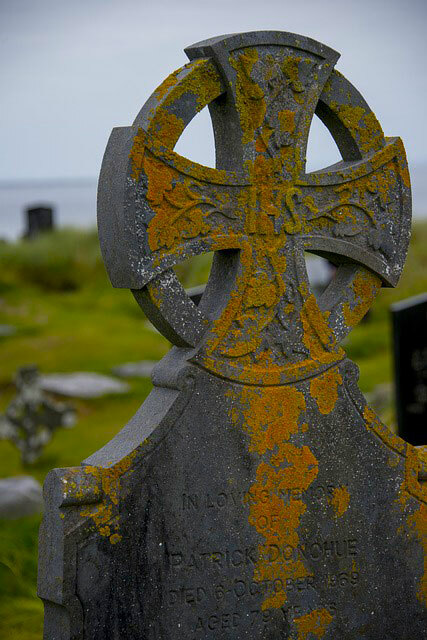 In fact, the opportunity to learn about the spiritual and the mystical is what makes a trip with the Divine Destination Collection truly different from any other journey, and Ireland won’t disappoint. Ireland has many “thin places,” where it is said that the distance between this world and the next is paper thin and you can catch a glimpse of the divine and forever see the world in a new light. Some of these thin places include ancient sites such as the Hill of Tara where Gods once lived, St. Brigid’s Well, which is known for its healing powers, and Newgrange, a Stone Age monument and tomb that is older than Stonehenge and the pyramids of Egypt. The other feature which makes a Divine Destination Collection trip remarkable is the dedication to the most luxurious accommodations and amenities. 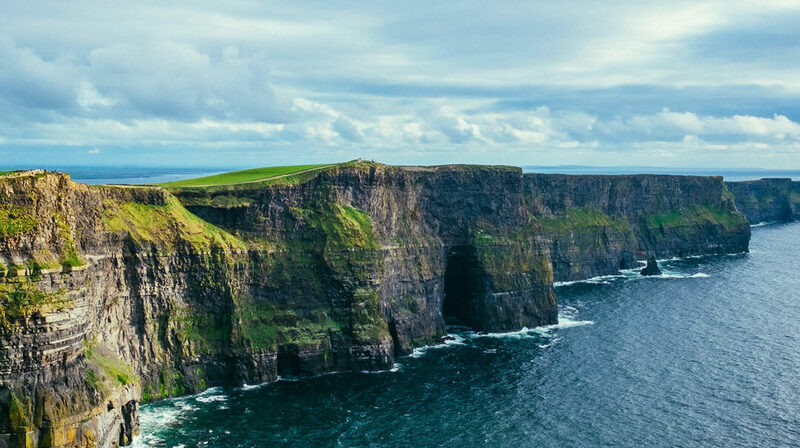 Throughout this Irish adventure you will stay at some of the most beautiful and unique hotels Ireland has to offer, which includes the Shelbourne in Dublin, the Gregans Castle Hotel in Ballyvaughan, and the regal 5th Century Dromoland Castle Hotel and Country Estate in Shannon, the ancestral home of Gaelic Royalty. That is where you’ll spend your final night after an enchanting private garden party, complete with Irish sing-along, held beneath the stars in the castle’s walled garden. This trip is a great way to bring a group of people together to celebrate a milestone anniversary or a special event such as a 50th birthday. If you are travelling alone or in a smaller group, the Divine Destination Collection plans to offer this trip again in the near future. In the meantime, if the Celtic fascinates you, learn about the Divine Destination Collection’s upcoming trip to Scotland this October. Bagpipes and a nip of great Scottish whisky might just be in your future! Have a look at our Ireland itinerary. Don’t hesitate to contact us if you have any questions. In 2001 Sue Kenney was enjoying a successful career as an account executive in the Telecom industry when her life suddenly changed. She was downsized, without any warning. Spending six or eight hours a day in nature can also be healing. “There is freedom and joy in being outside,” Kenney says. 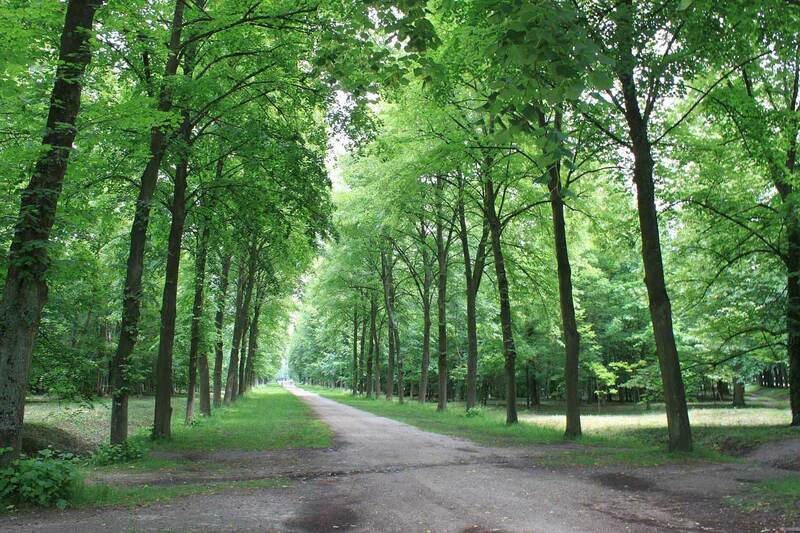 In Japan, there is even a practice called shinrin-yoku, or forest bathing, that believes trees have a direct healing effect on the mind and body. While walking the Camino can be a physical challenge, it is not only about testing yourself, or pushing your limits, says Kenney. You are walking in honour of the other people who are walking the Camino, as well as those who have travelled the Camino before. 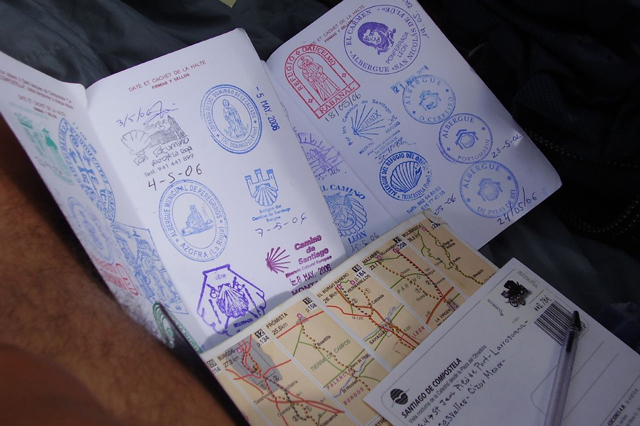 In fact, while you walk the Camino you collect stamps in a special passport called the Credencial del Peregrino, as proof that you have walked the distance necessary to obtain your official Compostela or Certificate at the Pilgrims Office in Santiago. With this certificate, you are written into the history book of the Camino and join the millions of pilgrims who have made this special journey. 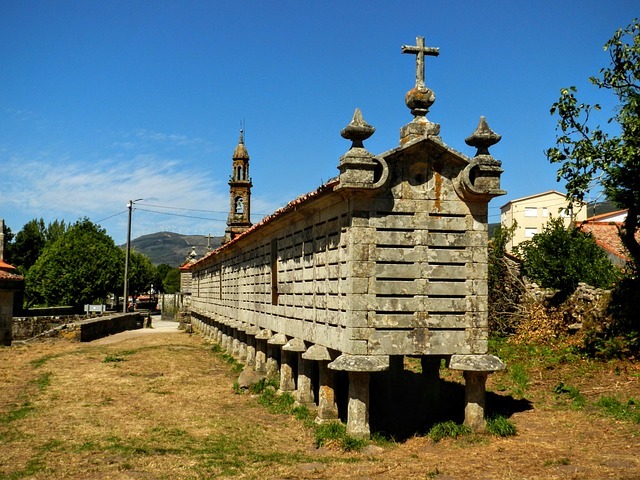 When is it best for you to walk the Camino? 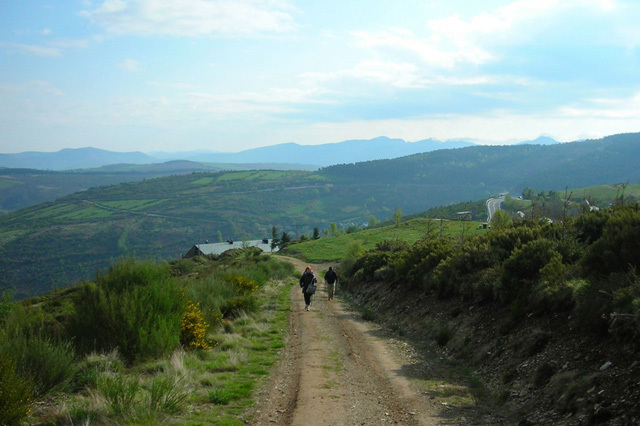 Like Kenney, many people make their first trip to the Camino after a life-changing experience. Some make the journey after losing someone close to them and are lost about how to carry on. Walking the Camino is a way to honour their loved one. But the journey can also be a way to celebrate a special occasion or anniversary. For women, a milestone like turning 50 means their children are finished school and now it’s time for them to do something for themselves. Since the Divine Destination Collection takes care of all the arrangements, they can really focus on what they want to get out of the journey. But no matter the reason, people just seem to know when they are ready to take the journey, says Kenney. Not only does Kenney love to walk the Camino, but she also loves to walk it barefoot! “Some people call me the crazy barefoot lady, but I’ve always loved to walk barefoot.” she says. “It makes me feel stronger, and more aligned. 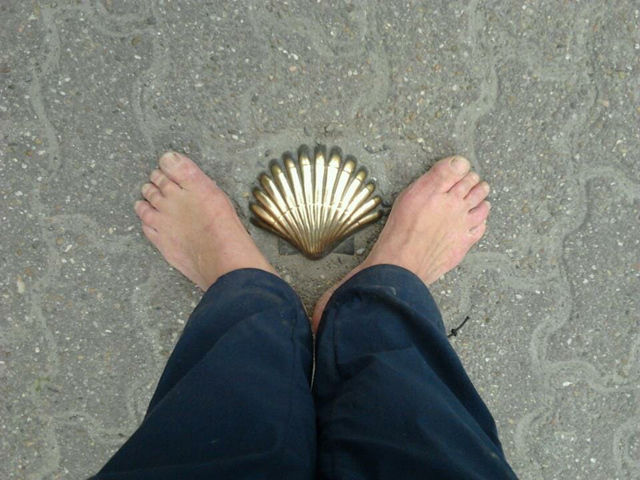 While the Divine Destination Collection group won’t be required to take off their shoes, Kenney will walk some of the way barefoot, and help train those who want to try a portion of the Camino barefoot. “It starts with walking barefoot around the house and doing things outside like gardening while barefoot. It’s important to strengthen your ankles,” she says. But whether they walk barefoot or not, Kenney guarantees the group is going to have fun. Have you travelled with us before, or are thinking about a trip with us? Become an Influencer and be rewarded with a great discount on your next trip! Are you a fan of the Divine Destination Collection? If you love to travel and appreciate a carefully curated, life-changing experience that combines luxury, adventure and spirituality – we have an offer you can’t refuse! 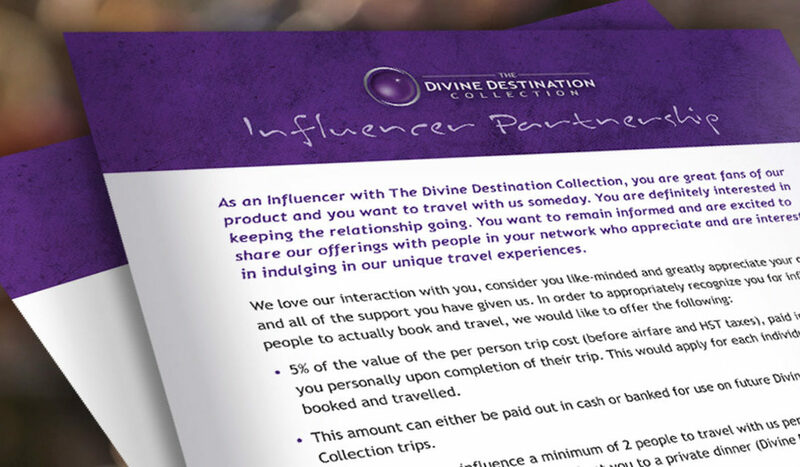 Become a Divine Destination Collection Influencer and receive a reward for every person you refer to us who books a trip. You’ll receive 5% of the cost of their trip, or even an all-expense paid trip (excluding airfare) by referring groups of 12 or more. It’s our way of saying thanks for being a fan and for introducing us to your network of like-minded traveller friends and relatives. Since we offer a highly specialized, exclusive travel adventure, word of mouth from our fans is the best way to get the word out about what we offer. All you need to do is let your friends, family, and colleagues know their dream travel experience awaits. We take care of all the arrangements, plus offer an exciting itinerary that they will find nowhere else. Our goal is to surpass their expectations for luxury and comfort while giving them the opportunity to immerse themselves in the magic and wonder that comes from exploring the spirituality of different cultures, landscapes, and ways of life. 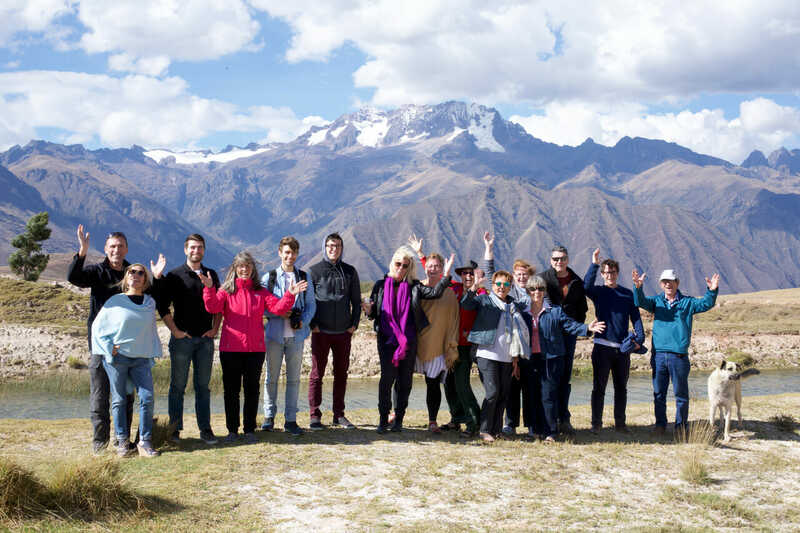 If you are joining us on an upcoming trip to El Camino, Spain or Scotland, why not invite some special people to join you, or let them know about the other fascinating adventures we offer, such Bali and Peru. It’s easy to take advantage of these amazing rewards! As an Influencer, we’ll keep you informed about all our latest adventures through our monthly newsletter. Share this information with others you know will appreciate these one-of-a-kind trips and direct them to this special page to learn more about us. Make sure they add your name as the referral, and if they decide to sign up for an upcoming adventure you receive 5% of the value of the per person trip cost (before airfare and HST taxes), paid in full to you personally upon completion of their trip. This applies for each individual person booked and travelled. Your reward can be paid out in cash or banked for use on future Divine Destination Collection trips. Introduce a group of 12 or more people to the Divine Destination Collection, and if they book a group trip you receive a complimentary trip on us, airfare excluded! A group trip is a great idea for a college reunion, milestone anniversary, or any other important celebration. It’s also a wonderful way to get friends together who love to travel. If you would like to organize a cocktail party or other event to introduce a trip to your group, let us know. We can supply you with brochures and a video presentation. If it is feasible, Divine Destination Collection co-founders Deb Niven and Allison Frame can also attend to give a customized presentation and answer questions. Simply share this page with interested travellers to invite them to learn more about us. Make sure they add your name as the referral, and if they end up booking a trip you receive your Influencer reward. If you have any questions about becoming an Influencer, please email Allison at Allison@divinedestinationcollection. And make sure you keep visiting our website to learn more about our upcoming adventures. Remember – if you know anyone you think would love to travel with us, simply share this page with them so they can learn more about us. If they book a trip, you’ll earn 5% of the cost of their trip, or an expense-paid trip (airfare excluded) for groups of 12 or more. 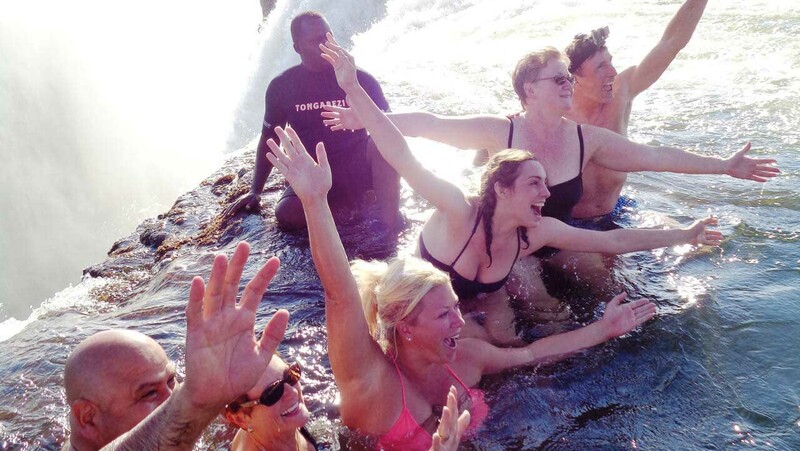 Here’s to building a community of like-minded travellers! To some people the idea of traveling in luxury while taking a spiritual journey seems mutually exclusive. The path to enlightenment must involve hardship or discomfort – like traveling to an ashram, sleeping on a mat, and eating bad food. Allison Frame and Deb Niven disagree. Their careers in the incentive travel and meetings business have given them a taste for luxury travel. But both are also seekers – open to exploring new ways of connecting with themselves and the world around them. Why couldn’t they mix both luxury and spiritually in an exciting travel adventure? “We had reached the stage in our life where we and/or our friends had achieved all those things society says we are ‘supposed to have’ – marriage, children, a satisfying job, a house, a car, etc. Yet for some there was still something missing,” says Allison. So they decided to create a safe, comfortable way for people to stick their toe into a new type of journey – one that would take them around the world, but also offer the opportunity to explore the spirituality of different cultures, landscapes, and ways of life. But it would be a journey that could still involve a heavenly bed and really great food! Allison admits spirituality can be a loaded word. And it can mean something totally different to each person. To some it is the exploration of higher powers, such as partaking in a shaman ceremony in Peru. To others it is experiencing the mystery of nature while foraging for mushrooms in a forest replete with beautiful fall foliage. And to others it can be more introspective – perhaps sitting by the fire in Muskoka and immersing themselves in a good book. Because spirituality is so personal, none of the spiritual activities are mandatory when you take a trip with The Divine Destination Collection. You decide whether to take part or not – and there is always an alternative experience awaiting. For example, on a recent trip to Arizona, guests were given the option to take part in a horse whispering experience. The opportunity to interact and connect with these majestic horses, was a revelatory experience to some – while others opted for a different type of revelatory experience – one that dazzled their taste buds as they took on a food tour of Old Scottsdale. In fact, even when visiting an ancient site, such as Tulum in Mexico, guests have the choice of taking a historical tour, or they can explore the site with a guide who can explain the spiritual significance. Over the last few years The Divine Destination Collection has taken guests on a variety of spiritual adventures. They have watched a sacred Hindu ceremony in a temple in Bali, visited “thin places” in Ireland where the veil between this world and the eternal world is thin, and cleansed their bodies and souls in a traditional “temazcal” sweat lodge in Mexico. Seeing wild animals in their natural habitat also had a huge impact on Allison. 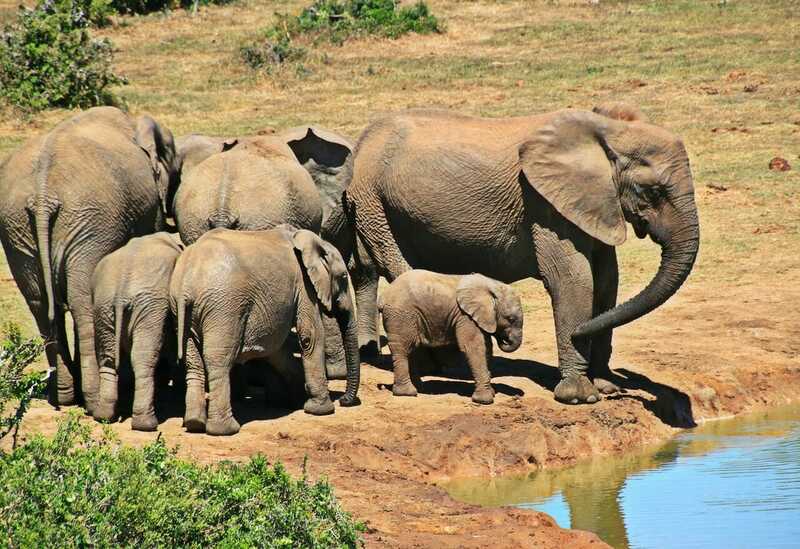 She still remembers what it felt like to be surrounded by a herd of elephants as the huge animals walked right up to the jeep and began exploring with their trunks. 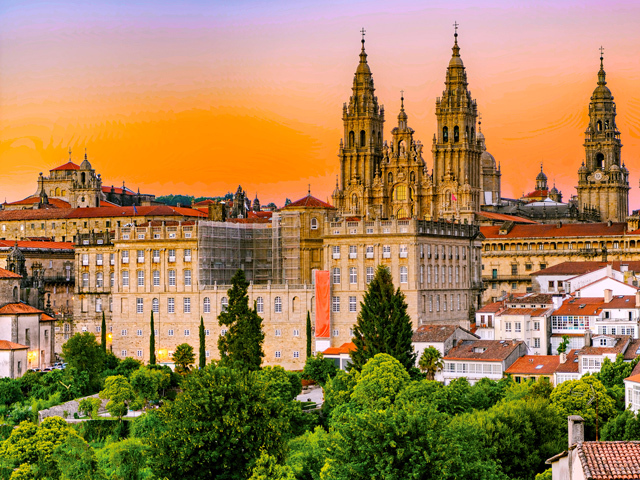 The Divine Destination Collection’s next trip, to walk the Camino in northern Spain, will involve a different sort of spiritual adventure. 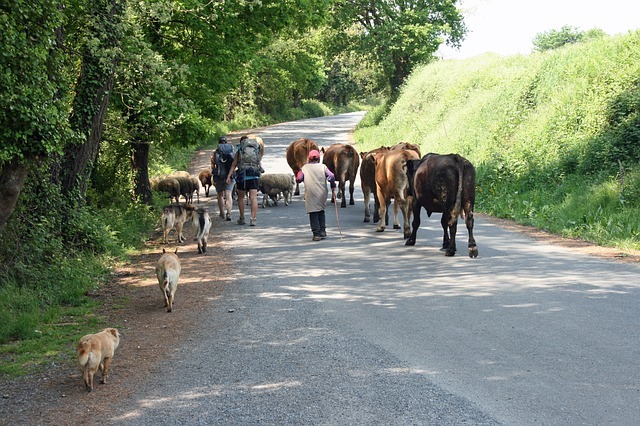 This six-day walking mediation will be a personal journey to challenge oneself and reflect on how the Camino is a lot like life – it can be beautiful and joyous when you are walking by beautiful fields of yellow or quaint villages, and then can turn grueling as you make your way uphill in the pouring rain. 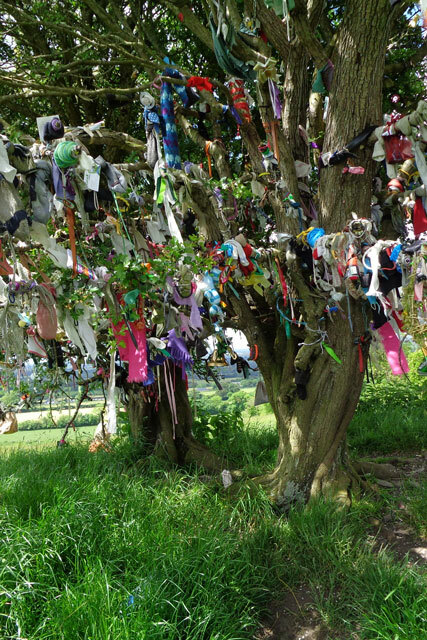 Next fall’s trip to Scotland will be full of ancient religious sites, both Christian and pagan. 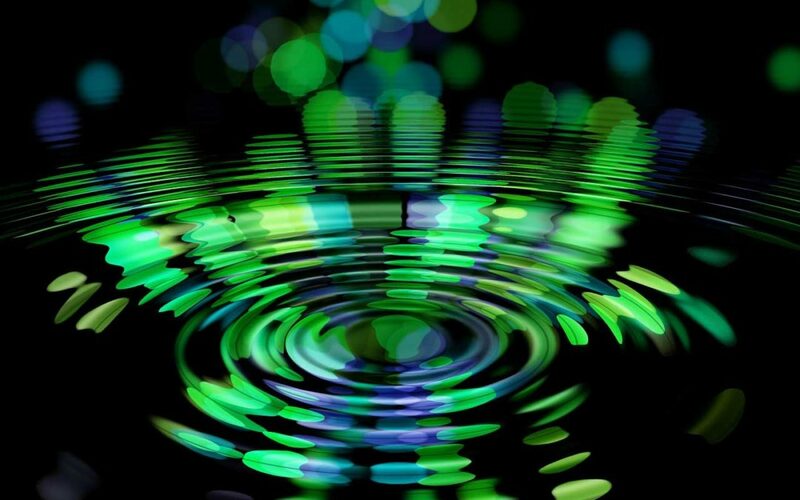 On a recent visit both Deb and Allison felt the power of several energy vortexes – areas of high-energy concentration. “It really gave us a sense of place – and where we fit in,” says Allison. For some great bedtime reading, Allison and Deb recommend Sacred Places of a Lifetime: 500 of the World’s Most Peaceful and Powerful Destinations, by National Geographic as well as Sacred Earth: Places of Peace and Power, by Martin Gray. They also follow Tiny Buddha, Jeff Brown (SoulShaping), World Economic Forum, and Panache Desai (to name a few) on social media to explore more aspects of spirituality. Next October The Divine Destination Collection will be travelling to the land of haggis, stone circles, bagpipes, and whisky… lots of whisky. 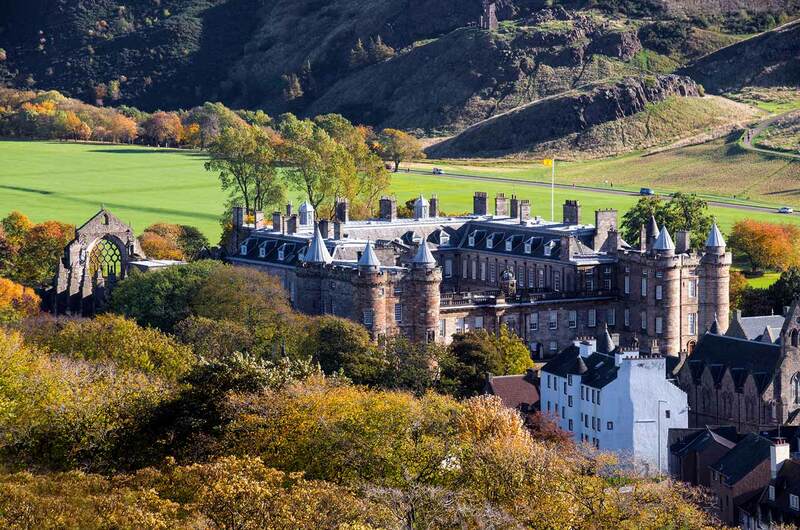 Full of royal intrigue – after all, it was in Edinburgh’s Holyrood Palace where David Rizzio, the supposed lover of Mary Queen of Scots, was stabbed to death right before her eyes – and grand, sweeping scenery that changes from almost moonscape starkness to mist-covered highlands, craggy coastlines, majestic snow-capped mountain ranges, and deep, beautiful lochs (that may or may not be inhabited by otherworldly creatures), Scotland is the perfect mix of the ancient and the modern. 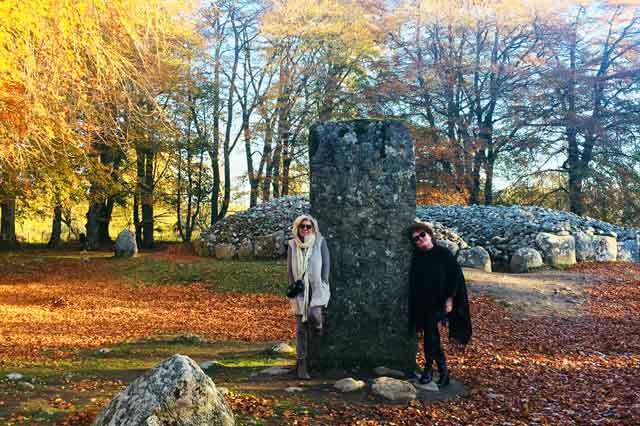 This fall, The Divine Destination Collection’s co-founders Deb Niven and Allison Frame visited Scotland to check out three important aspects of this upcoming journey – the spirituality, the luxury, and of course, the adventure. 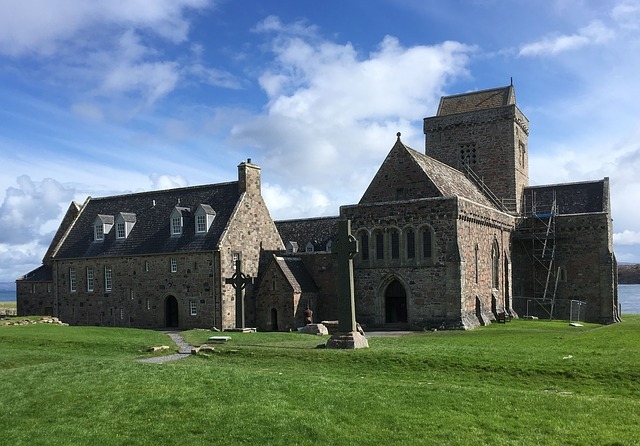 Scotland is believed to be one of the oldest sites of Christianity in Western Europe, so Deb and Allison travelled to where it all started – Iona Abbey on the Isle of Iona, close to the Isle of Mull on the west coast of Scotland. 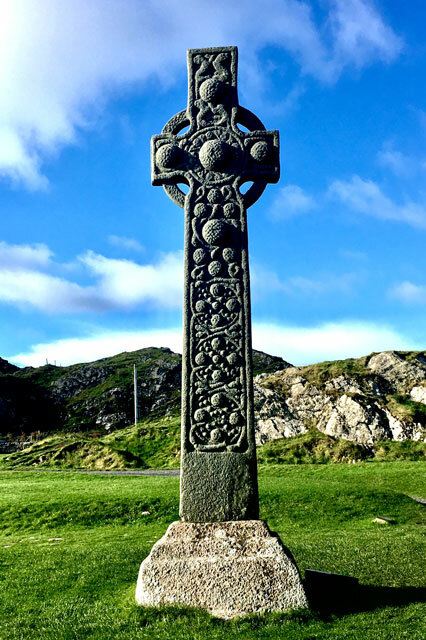 Home to the 9th century St. Martin’s Cross, you can imagine the monks of St. Columba going about their religious duties (as well as fending off the occasional Viking incursion) as ocean waves crash along the shore, and the wind howls through the haunting halls of the abbey. But while most people think of Scotland as a predominately Christian culture, with the majority of Scots belonging to the Presbyterian Church of Scotland or the Roman Catholic Church, evidence of pre-Christian cultures such as Celtic Paganism can still be found – like the mysterious circles of various-shaped stones, organized in rings, in various locations around the country and believed to be more than 5,000 years old. 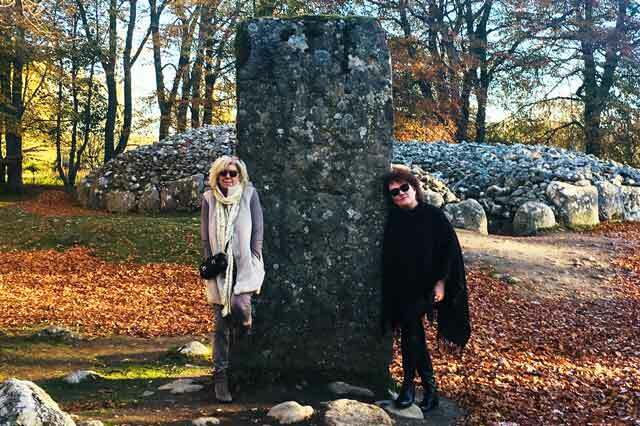 The famed Clava Cairns, a cemetery dating back to the bronze age filled with ancient monuments of piled stones. For Outlander fans this site was the inspiration for Craigh na Dun where Claire went back in time through the stones to 1743. It is also a mystical place, with folktales full of fairies and “thin places”, where the earthly veil is pulled back to reveal where heaven meets our world. 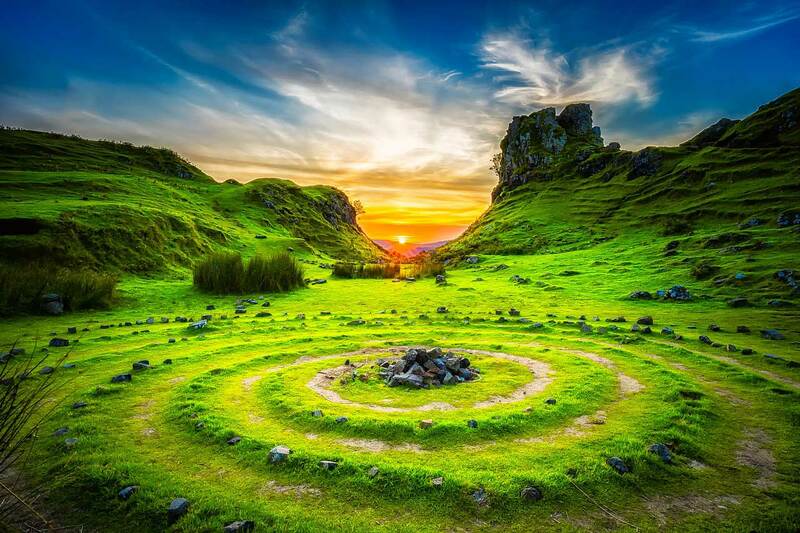 When Allison and Deb visited the Isle of Skye, they were convinced it was an area of high energy concentration or energy vortex (the intersections of natural electromagnetic earth energy, also known as ley lines). Scottish fare hasn’t traditionally been known as gourmet cuisine, but just as a food revolution has taken over England, amazing food has come to Scotland, with many restaurants, such as Edinburgh’s Ondine – which offers fresh seafood and shellfish from the east coast of Scotland – making it onto the best restaurant lists in the U.K. 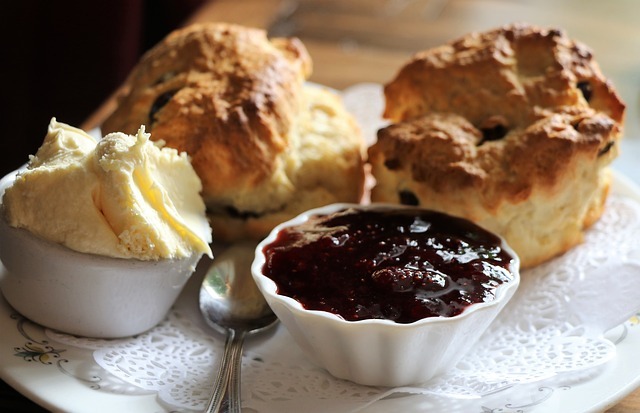 But while the duo had amazing meals at new and innovative restaurants, it was the shortbread, homemade scones with jam and clotted cream and a cuppa strong tea that really dazzled their taste buds. And oh yes, let’s not forget the whisky tastings. There are 120 active distilleries spread across Scotland, and while Deb and Allison didn’t get to try them all – they got a feel for the five distinct regions where whisky is produced. 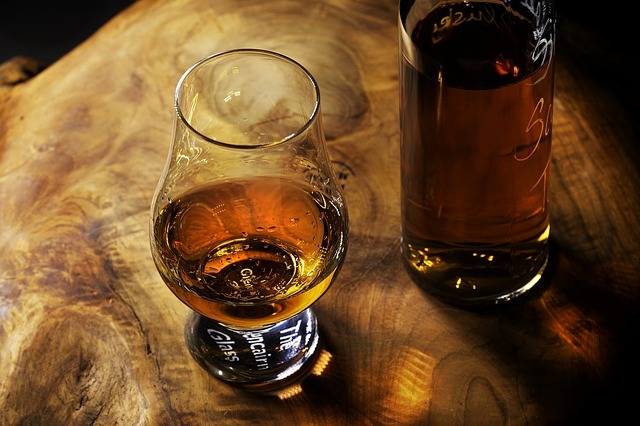 It turns out where a whisky is made has a huge bearing on its taste. Everything from the water source to the peat in the area will come through in the flavour. Another surprise was the variety of gin tastings to be found. Scotland is home to many of the world’s best-selling gins, such as Gordon’s, Tanqueray, and Hendricks, but only now is Scotland getting the attention it deserves for its expertise in gin production. 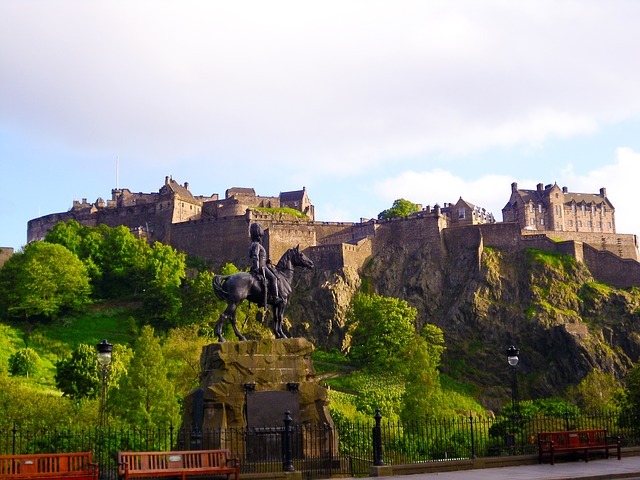 There is possibly no sight more dramatic than Edinburgh Castle looming high above as you arrive in the city. This is the city of the Royal Mile, which leads to Holyrood Palace, the official residence of Queen Elizabeth when she is in Scotland. 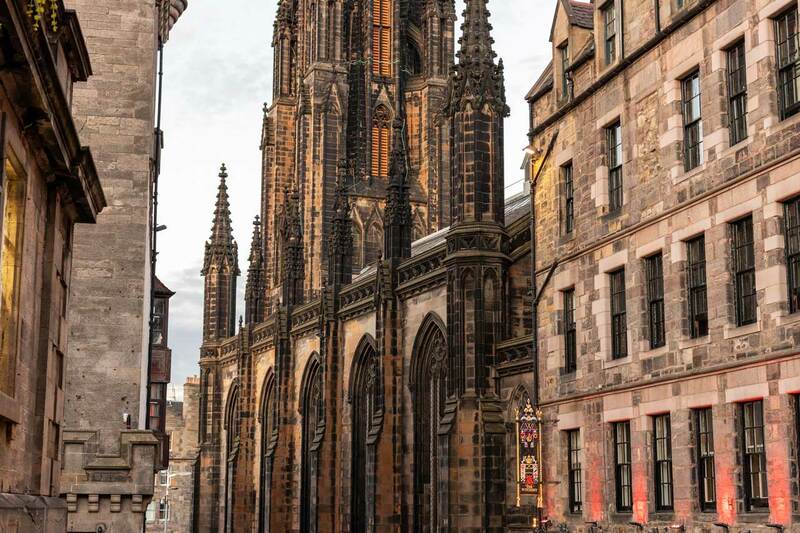 It is also where you can travel along the cobbled steps of the Old Town, then venture into the chic boutiques and trendy restaurants on Princes Street in the New Town. Of course, it is guaranteed that you will meet a few local “characters” along the way. This is the site of the original Fringe Festival, after all. While Edinburgh can transport you to a glittering past filled with royal pomp and circumstance, Glasgow ushered in another era for Scotland. This is where Charles Rennie Macintosh designed his famous tea rooms and took Glasgow’s reputation in architecture and the decorative arts to world renown at the end of the 19th century. 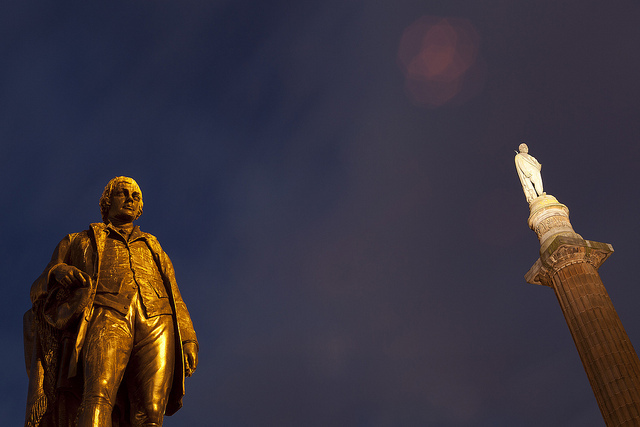 Glasgow is also where statues of Sir Walter Scott and Robert Burns preside over the city’s principal meeting place, George Square – highlighting how important great literature is to this country. But while these two great cities captured their imaginations, it was the countryside that really captured Allison and Deb’s hearts. 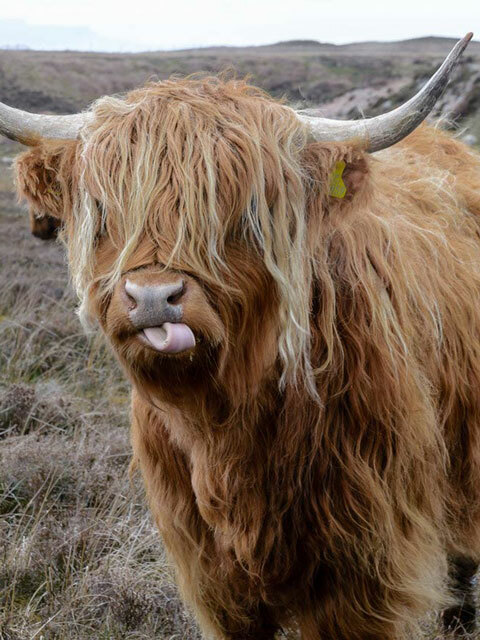 From feasting on fresh mussels in Oban, a picturesque port town on the west coast of Scotland, to seeing double rainbows on the Isle of Mull, and meeting an assortment of friendly highland cows (pronounced heeland coos by the locals) – every day held an a unique and unexpected surprise. 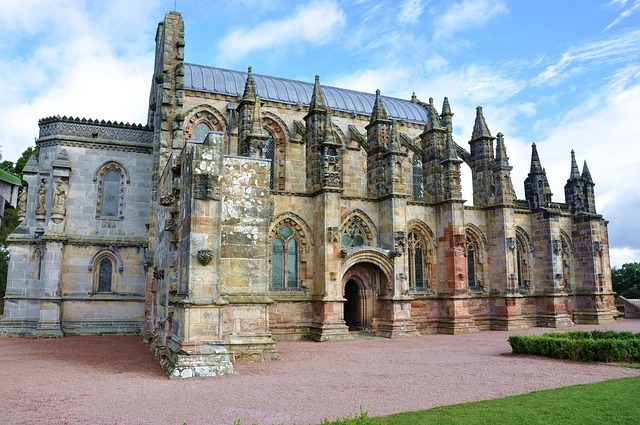 So get ready for a magical trip to the land of Outlander, Harry Potter, and the mysterious Rosslyn Chapel, where Dan Brown set the finale of The Da Vinci Code. “We are going to offer our travellers a chance to experience some amazing adventures they wouldn’t be able to find on their own,” says Allison. 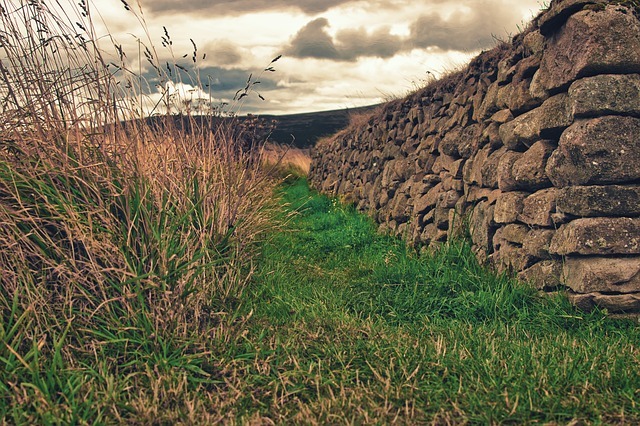 “Our hope is to give them a true sense of Scotland by exploring the land, learning about its history and ancient cultures, and connecting to its mystical side. 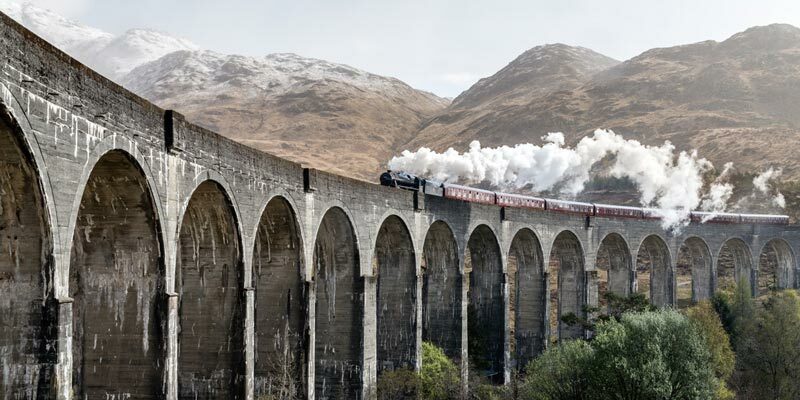 A full itinerary is coming soon – so keep checking back to see what’s in store for you on this amazing tour of the mists, mystics and whisky trails of Scotland!